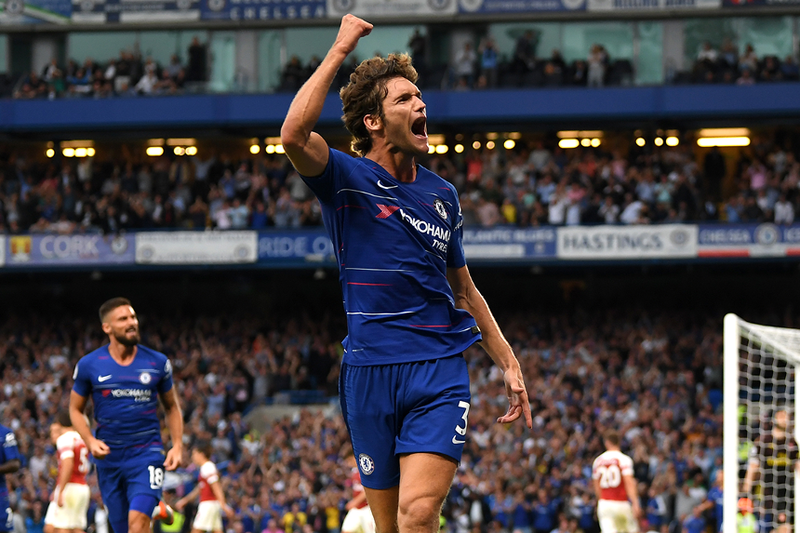 Marcos Alonso scored the decisive goal as Chelsea held off an Arsenal comeback to win 3-2 in a thriller at Stamford Bridge. Pedro gave Chelsea the lead after just nine minutes, converting Alonso's cross. Less than a minute after Pierre-Emerick Aubameyang had missed a great chance to equalise, Alvaro Morata doubled Chelsea's lead from Cesar Azpilicueta's ball over the top. Henrikh Mkhitaryan, who had also missed a fine opportunity, pulled one back on 37 minutes and then crossed for Alex Iwobi to make it 2-2. Both sides had chances after the restart to win it, but Eden Hazard, a second-half substitute, crossed from the left for Alonso to stroke in the winner with just nine minutes remaining.